“I’ve never been to the National Mall before,” said Juan, as he sat on the Metro heading towards the Smithsonian. “Now that I know how to ride the Metro, this will be easier to come by myself,” his friend Pedro declared. Soon they would both be experiencing the National Mall for the first time in their lives. 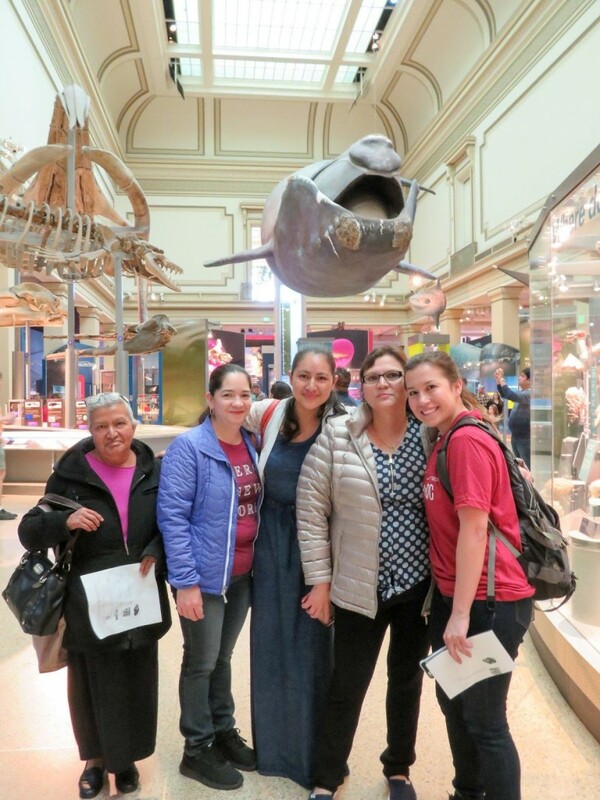 Their first stop was the National Museum of Natural History. When students entered, they were immediately greeted by Henry, the museum’s elephant. They were impressed by the rotunda and began to explore this area and take photos. For many of the students this was their first time to the museum. During their trip students practiced English by finding exhibits in a scavenger hunt and earning points for each discovery. Various animals were among the exhibits as well as the famous Hope diamond. More photos ensued! This was particularly true for students who work in the city but have never had the opportunity to enjoy the museums and National Mall. A team of volunteers provided childcare back at Casa’s community center so that parents could enjoy this trip with their classmates. Their final stop was the Jefferson Memorial. As they walked the Tidal Basin students were amazed by the surrounding trees and enjoyed the refreshing walk along the waterfront. “It’s beautiful!” said Adriana as she saw the impressive marble monument in the distance. “I love the tour!” Jose agreed. He was very excited as the group walked to the monument before the group returned to the Metro. The DC SCORES Poetry Slam! is the largest youth slam in Washington, DC, and the culminating event of the DC SCORES fall season. 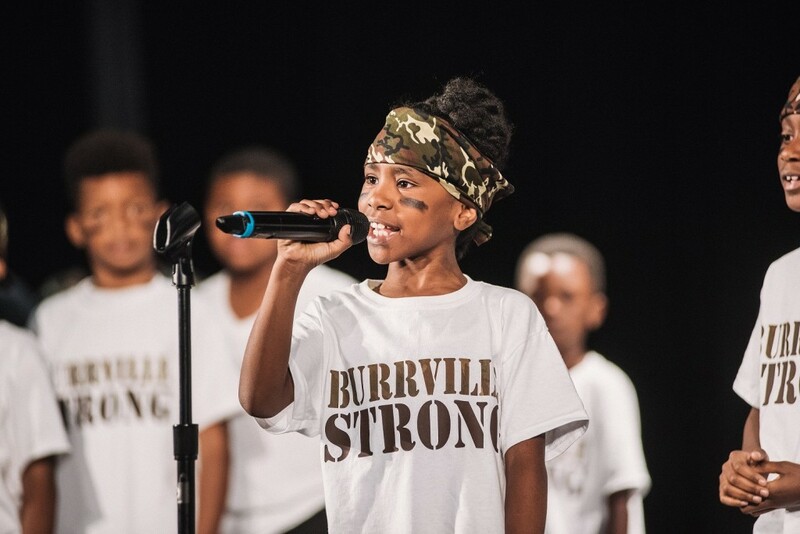 The two-night event showcases original works of poetry written by over 2,000 students representing District of Columbia public and public charter schools in seven of the city’s eight wards. In a competitive format, each school takes the stage for five minutes to perform group and individual poems in front of capacity crowds. The DC SCORES Poetry Slam! funnels the energy and creativity of youth into self-expression as a means of improving their literacy rates and raising their self-esteem. The event has been featured in The Washington Post &n Capital Community News, and participants have read their poems on NBC-4. Volunteer Info: Volunteers are needed for setup, breakdown, ushering special guests, and more. This info session will cover everything a you need to know if you’re interested in going solar. Solar United Neighbors of Maryland will present on solar technology, financing options, and the basics of solar policy & markets. We will also discuss our solar co-op process, which works like a bulk purchase. Co-ops bring together a group of homeowners to get the best quality installations for the best price, plus free 1-on-1 support from Solar United Neighbors, a neutral nonprofit solar expert. Each summer, selected Reach teens author children’s books as part of our Summer Leadership Academy. On November 16th, we will celebrate these teen authors at our annual Book Release Party. The event will take place at Pepco Edison Place Gallery, near Chinatown, and will provide an opportunity to honor our young people, celebrate their new books, and raise funds to support our continued work. Fee: Tickets start at $50. Volunteers are free. Volunteer Info: We are seeking volunteers to run our registration table and assist with book sales. Returning home after a sold-out nationwide tour, What’s Going On is Dance Place’s critically acclaimed producing debut that offers the sweetest solace possible: people coming together. (The Washington Post). Artistic Director Vincent E. Thomas looks through the lens of Marvin Gaye’s transcendent music and finds a reflection of the world today. Taking inspiration from 1971′s inimitable What’s Going On, Marvin Gaye’s insights into life, love and social justice are given fresh perspectives with choreography by Vincent E. Thomas, Ralph Glenmore and Sylvia Soumah. This evening-length work features Modern, Jazz and West African dance. What’s Going On seeks to provoke thoughtfulness and spark conversations to ignite change in each community it touches. Join us for the fall 5K on Sunday, November 19th, at Anacostia Park. Girls on the Run – DC brings the community together to support and celebrate girls across the city. The race is open to the community and there are many ways to get involved — from being a buddy runner for a girl who doesn’t have an adult to run with, a community participant or a volunteer who makes the day memorable for a girl. Volunteer Info: Various 5K volunteer opportunities include: course safety marshal, information team, general volunteer, parking metro guide, photographer, and race packet pick-up. This Thanksgiving Morning, over 800 runners, walkers, and spectators will flock to Laurel’s Historic District for the 13th Annual 5K Turkey Trot to Benefit Laurel Advocacy & Referral Services, Inc. (LARS). This event has gained a loyal following and continues to grow each year, raising crucial funds for LARS, a non-profit organization helping homeless and low-income families and individuals achieve stability and self-sufficiency. This event is LARS’ biggest fundraiser, raising over $50,000 last year to help us provide food, financial help, and housing to Laurel residents in crisis. Only weeks after beginning my job at Inspired Teaching, I had the opportunity to participate in the Summer Intensive component of the organization’s signature program, the Inspired Teaching Institute. 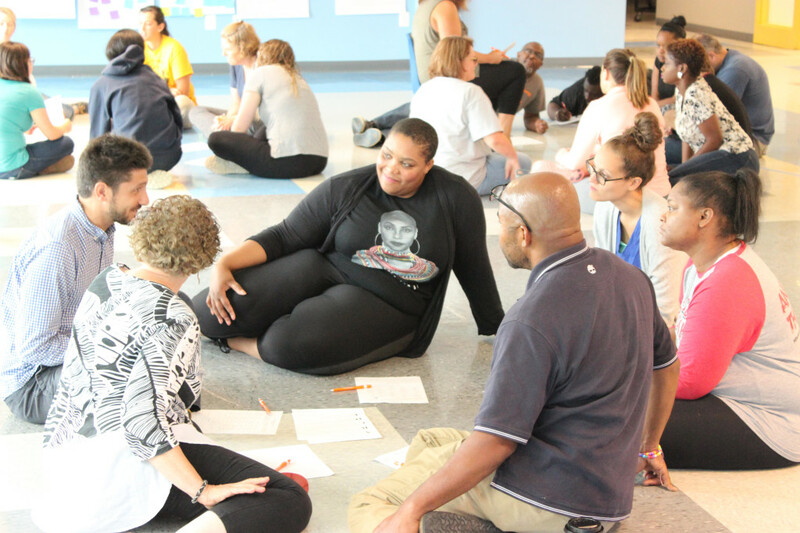 At the Institute, educators participate in hands-on, improvisation-based activities to align themselves around best-practices for engagement-based instruction. When I arrived on Day 1, I didn’t know exactly what that meant or what I should expect, but I’d been told the Institute is something I had to experience to truly understand. Less than two weeks later, I’d bonded with a cohort of amazing teachers, danced and sang, lesson planned and discussed ways to address students’ needs. I’d used yo-yos to learn about inquiry-based education. I’d honed my ability to think creatively by overcoming obstacles while climbing imaginary mountains. Now, I was beginning to truly understand: when colleagues had told me that Inspired Teaching leads transformative teacher trainings, they really meant transformative. A particularly impactful activity challenged teachers to examine their understanding of discipline and what that word means and looks like. Gathered around two sheets of chart paper, the facilitator sternly said, “This school needs more discipline,” and asked the group to share what words come to mind when they think of “discipline.” Teachers began shouting out words. Punishment. Consequences. Control. They had no trouble brainstorming a vast list. Suspension. No Recess. Phone call home. After the sheet of chart paper was covered in words that gave many flashbacks to their own days of being sent to the principal’s office, the facilitator told us to close our eyes. “Imagine you are a skilled artist,” she said. We sat focusing on this idea for a moment, envisioning our crafts, the skills that we’d honed. “Now open your eyes. Tell me what words come to mind when I say discipline.” An entirely new list began to form. Dedication. Focus. Self-control. Sacrifice. Passion. We examined the two lists, noting the stark differences, pointing out that the lists had very few words in common. The activity left participants thinking about how schools need to shift from enforcing a rigid set of rules to preparing students to be good citizens of our complex and rapidly changing world. Through thought provoking activities like this one, as well as many others that required more flexibility (physically, emotionally, and mentally), the Institute demonstrated that – for both teachers and students – creativity and rigor are not mutually exclusive, but rather go hand in hand. In addition to being a fun, joyful and refreshing program, it was inspiring to witness the teachers engage in serious reflection on their practices, learning about themselves and discovering new ways to reach their students. One teacher commented, “Institute has helped me look at the types of ways I can elevate my teaching practices emotionally, psychologically, and physically.” Another shared, “Institute has fine-tuned my metacognition and skills of perception.” Most importantly, while teachers celebrated the growth that took place at the intensive, they also acknowledged that there is always more work to be done – which is why the Institute includes seminars and ongoing support throughout the year. 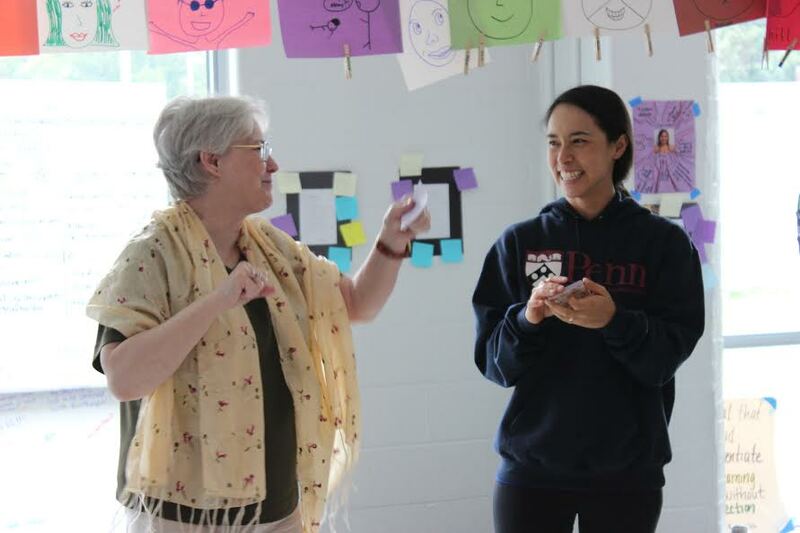 The Inspired Teaching Institute, comprised of the summer Intensive and seminars throughout the school year, is only one of Inspired Teaching’s many programs that serve teachers and students in the DC area. From the Residency program that prepares pre-service teachers for successful, sustainable careers to Real World History, a hands-on course that provides students an internship experience where they cultivate the skills of an historian, all of our programs authentically engage participants to become changemakers in their schools, districts, and communities. Given that students report feeling bored during 70% of their time in school and stressed for 80% of it, we need changemakers now more than ever. If you’re questioning whether Inspired Teaching’s professional development can really impact these bleak statistics, if you’re skeptical that we can create meaningful changes to our education system, one teacher at a time, I hear you. Two weeks ago, I was skeptical, too, but I’ll tell you what my colleagues told me: You have to experience it to truly understand. Knowing that seeing is believing, we host visits to our programs each month. If you’d like to see Inspired Teaching in action, sign up for our newsletter for the latest updates! The News Literacy Project is a national education nonprofit, founded in 2008 and located in Bethesda, Maryland, that works with educators and journalists to teach secondary school students how to sort fact from fiction in the digital age and to give those students the tools to become informed and engaged citizens in a democracy. We are teaching literacy for the 21st century. 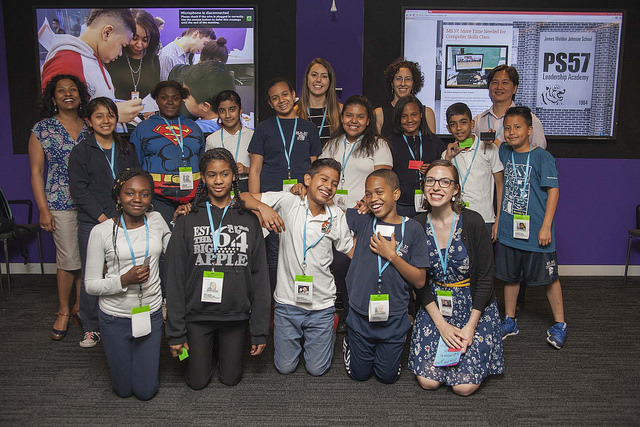 In our first eight years, our classroom, after-school and digital programs reached more than 25,000 students in diverse middle schools and high school students in the Washington, D.C., region (including the Maryland and Virginia suburbs), New York City, Chicago, and Houston. We have formed partnerships with 33 news organizations and enrolled more over 400 journalist fellows in our online directory; our volunteer journalists have delivered more than 750 lessons, both in person and virtually. In May 2016, we launched the checkology® virtual classroom, the culmination of all our work to date and our primary path to national and international scale. In just over one year, 7,000 educators in every state in the U.S. and in 61 other countries, with a potential reach of more than 1 million students, have registered to use this platform. While these numbers are gratifying, we know that there is more to do. In the United States alone, there are 26 million public school students in grades 6-12, as well as the millions in private and parochial schools and in after-school, home-school and library programs — not to mention those students in schools and other programs outside the U.S. We look forward to dramatically expanding the reach of the checkology® virtual classroom among these students. Even as we improve and expand the current platform, we’re preparing for its next iteration, along with international and Spanish-language versions. We have plans to reach beyond the classroom with a mobile-friendly app, which will likely be a news literacy game. Finally, we are working with Facebook on a public service advertising campaign to encourage millions of the platform’s engaged users to critically evaluate the news and information they share and to share only what is credible. A healthy democracy depends on engaged citizens who can sort through vast amounts of information, separate fact from fiction, and know what to trust. 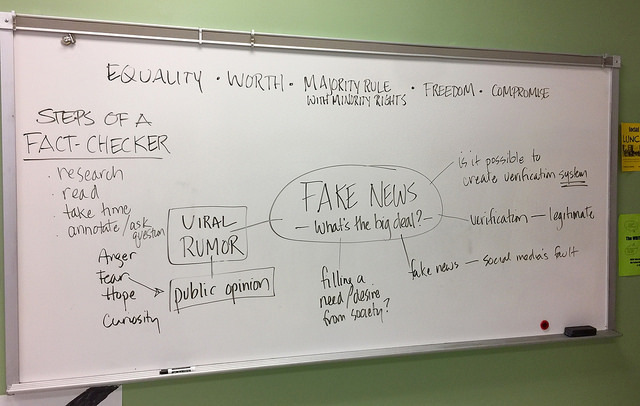 Today, misinformation, rumor and spin can overwhelm real news, and the News Literacy Project provides the tools to meet this challenge. We’re working to give facts a fighting chance and to create an appetite for quality journalism. You could say that we were the antidote to “fake news” long before the term gained its recent currency. We are inspired by these challenges, by the tremendous opportunity to make a meaningful difference and by an urgent sense of responsibility to move as quickly as possible to meet the growing demand for our services. Since the emergence of the field of news literacy a decade ago (a field that we helped to create), we have gone from being a voice in the wilderness to an answer to prayer for many. 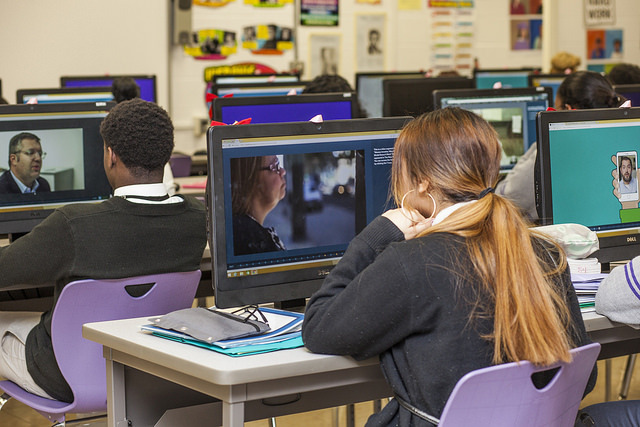 The News Literacy Project aspires to see news literacy embedded in the American educational experience, inside the classroom and outside of it. We want to teach many millions of young people how to know what news and information to believe, share and act on as students, consumers and citizens. We also hope to begin to change the culture so that people will take personal responsibility to stand up for facts and for quality journalism. Our website is www.thenewsliteracyproject.org. Anyone who wants more information or has questions can email us at info@thenewsliteracyproject.org. We welcome volunteers, including journalist fellows who can play various roles with us. People can engage with us through social media, as educators and journalist fellows, and as financial supporters. Please let us know your interest and we will respond. Finally, educators can register for the virtual classroom at www.checkology.org. Bridges to Independence has been working with and for people experiencing homelessness since 1985, when we were founded as the Arlington-Alexandria Coalition for the Homeless. In 2016, Bridges served a total of 460 individuals: 248 through our housing programs (emergency shelter and rapid re-housing) and 212 in other programs and services (financial literacy, employment services, etc.). Our mission is to lead individuals and families out of homelessness and into stable, independent futures. We offer aid and support for all family members, helping them attain financial security and move forward into self-sufficiency. As homelessness is often episodic, we work not only with people who are currently experiencing homelessness, but also with former participants to ensure they are able to remain securely housed and do not fall into homelessness again. 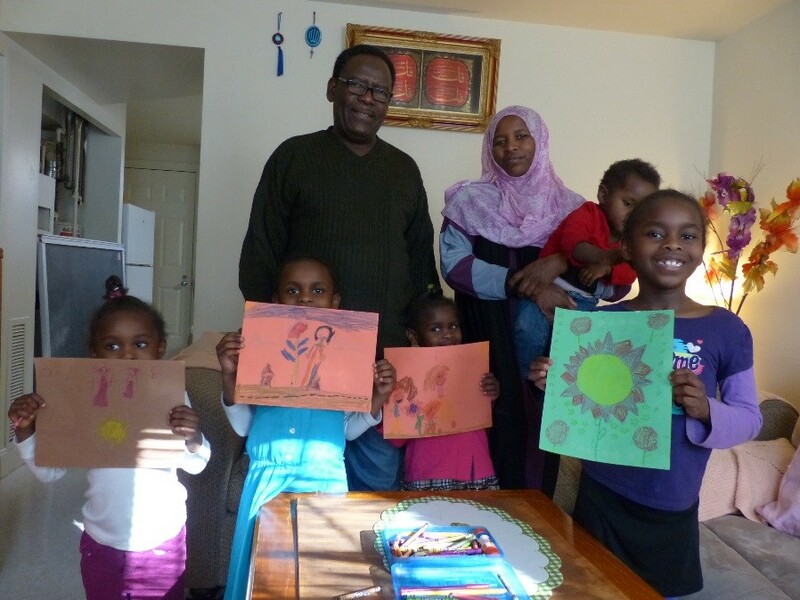 Former client Mohammed, his wife, and their 5 daughters invited us to their home for a visit. It was wonderful to see the family thriving! 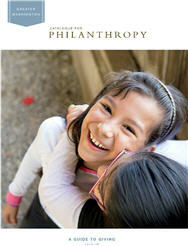 Our vision is to end the intergenerational cycle of poverty. Two-thirds of the people we serve are under the age of 18. We provide youth with opportunities to increase self-esteem, gain leadership skills, and improve their overall health/well-being. We strive to give older students the confidence, skills, and tools needed to pursue and complete post-secondary education or vocational training, providing them with a pathway to economic security. After many years of helping people move into their own homes, we’ll soon get to experience a homecoming of our own! In September, we will move into a brand-new 4,700 square foot training center, directly adjacent to our Sullivan House emergency shelter. The new space will be a hive of activity and will include a children’s room for youth activities, classrooms for job training, a personal counseling suite, and offices for our staff to continue their crucial work to support families in need. We’ll be able to serve more people, carry out programming more effectively, and explore new and innovative solutions for reducing homelessness. 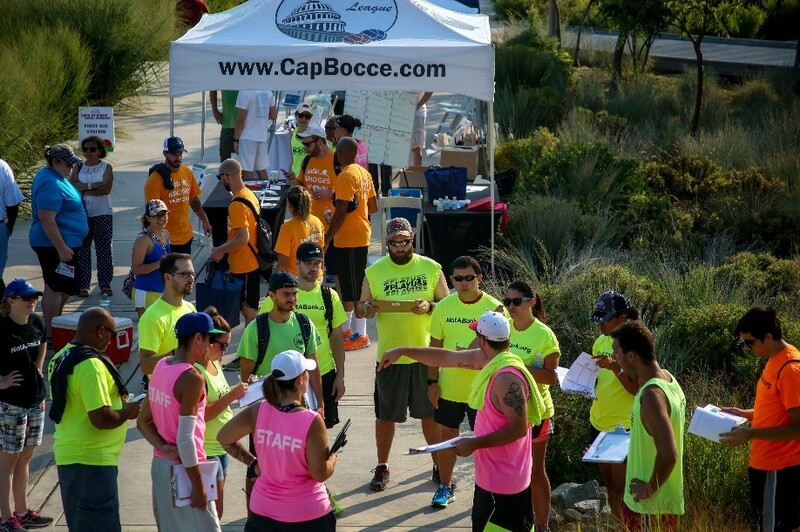 Gather a team for our Kickball Tournament or volunteer at the event! Our 12th annual SAFE AT HOME Kickball Tournament will be Saturday, August 5, 2017. Teams, sponsors and volunteers can sign up now at https://bridges2.org/kickball/. We also need volunteers to serve as mentors or tutors, represent Bridges at events, help with office work, and more. For details, see www.bridges2.org or contact Lawson Craighill at lcraighill@bridges2.org. 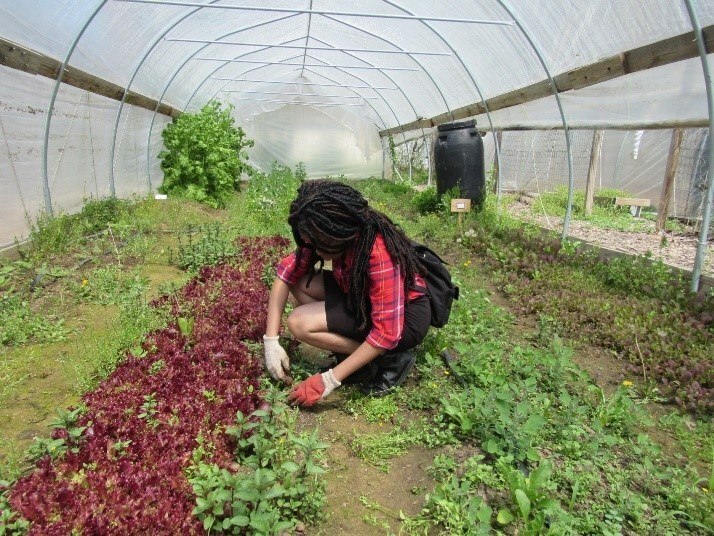 Spring, it seems, is here to stay in Washington, DC, and for one nonprofit after-school program, that means service. 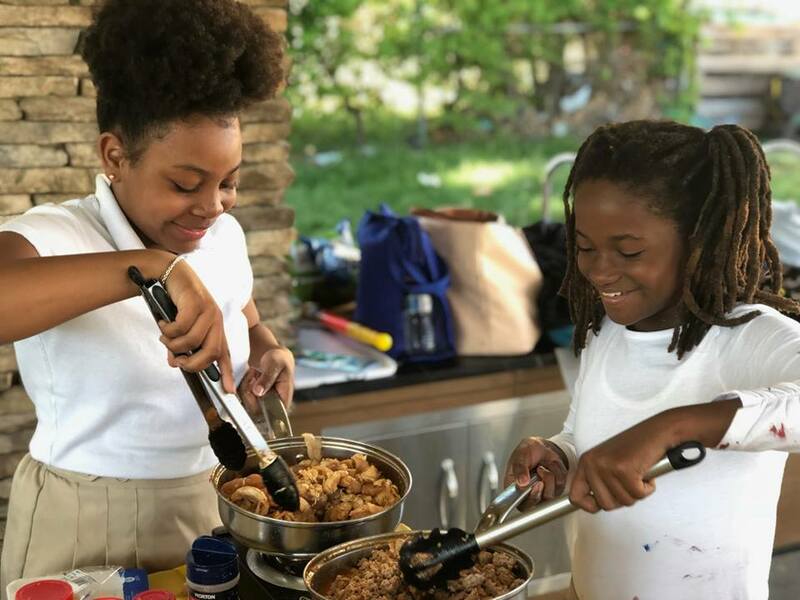 At DC SCORES, elementary and middle school students across the District — 2,200 of them — create change in their communities during the 12-week season through service-learning projects. Stage 1: Examine your community. Kids walk around their school building and into the surrounding neighborhood, equipped with clipboards and a pencil. They jot down what rubs them the wrong way. Is there a lot of trash? Homeless people suffering? A lack of gardens? Stray animals? Stage 2: Research. After a collaborative decision on which issue to focus on, the kids educate themselves. They look up statistics online. They talk to people who are relevant to the issue locally. They become informed. Stage 3: Implementation. It’s time to go to work! 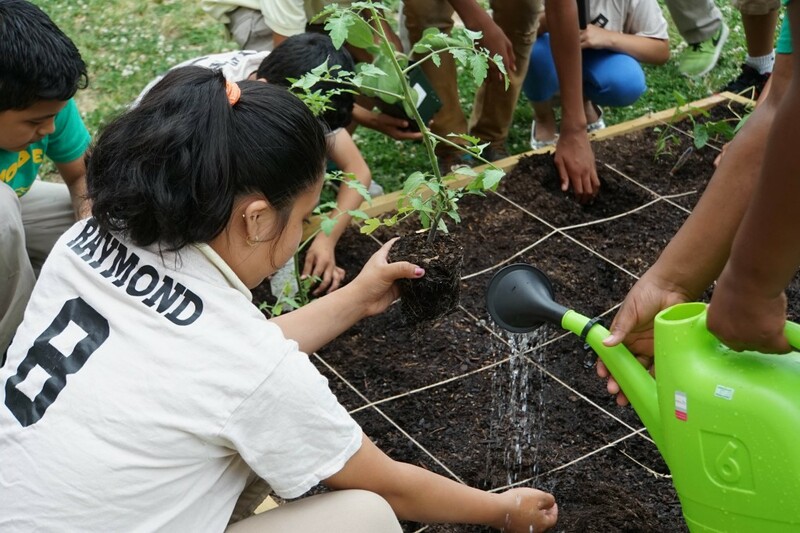 During the two service-learning sessions after school each week, the kids — feeling empowered like never before — take the steps as a team to create change. Some projects culminate in a big day (examples: a car wash to raise money to feed the homeless; a fun race to fundraise for the local animal shelter; a fitness festival to bring awareness about healthy living to their school community) while others are multi-week processes such as the creation of a school garden. Stage 4: Reflection. The last week of the spring DC SCORES service-learning season is spent reflecting on the project. What were the biggest challenges? What felt most rewarding? How did the kids feel when it we completed? Many lessons come out of these projects, and the elementary and middle school poet-athletes in DC SCORES learn just how powerful they are to make a difference in their communities, especially when working together. 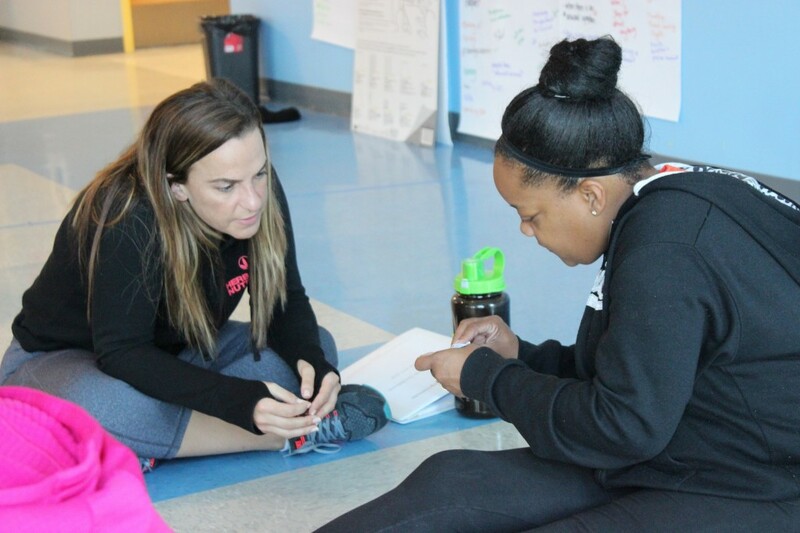 DC SCORES was born in 1994 by a Teach for America teacher, Julie Kennedy, who noticed that girls she taught at Marie Reed Learning Center (now Marie Reed Elementary School) had nothing to do after school. Julie rolled out a soccer ball one day, and the girls embraced the game. On a rainy afternoon, with everyone stuck inside, Julie placed a notebook in front of each girl and and encouraged them to freely write down their thoughts about anything. The poetry aspect, which takes place during the fall season and culminates in the annual Poetry Slam!, came about. Service-learning was added as the third prong of the innovate model shortly thereafter. DC SCORES goes where kids in need are — they operate in all eight wards, with 55 sites at DC public and public charter schools and rec centers; the program’s waiting list is 20 schools deep — and gives them the skills and confidence to be successful on the playing field, in the classroom, and in life. Every aspect of DC SCORES, from the weekly game days to the Slam! to service-learning, is based around team and led by supported, trusted coaches who are considered leaders in their school communities. If you are in Columbia Heights or Deanwood or many other DC neighborhoods, you will see kids and adults walking around in DC SCORES school-customized T-shirts. They wear them proudly. DC SCORES is team. And the bonds created within DC SCORES lead to stronger, healthier, happier communities throughout the District regardless of resources available. 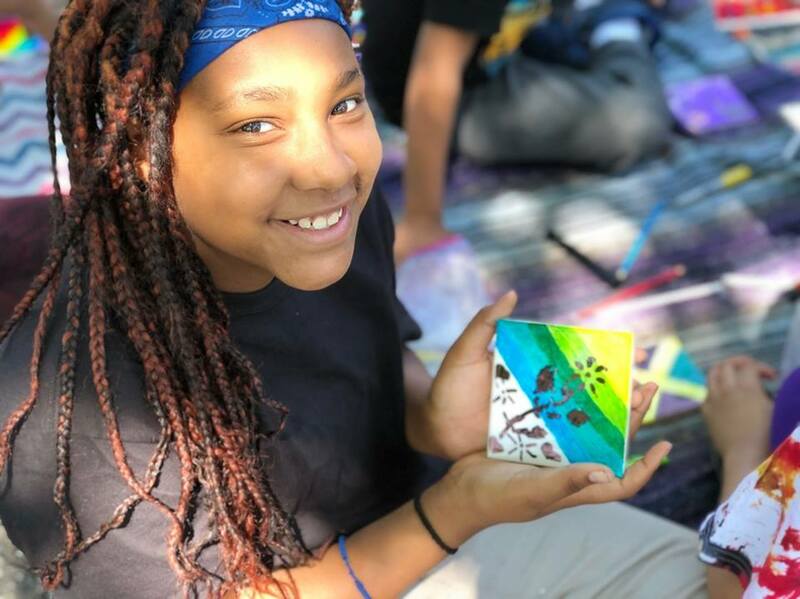 Just consider Imagine Hope Community Charter School – Tolson Campus, which last year created a school garden on its blacktop out of recycled soda bottles. Give kids an outlet, the confidence, and the tools to make their world a better place, and the result will be beautiful. So how can you get involved with DC SCORES this spring? 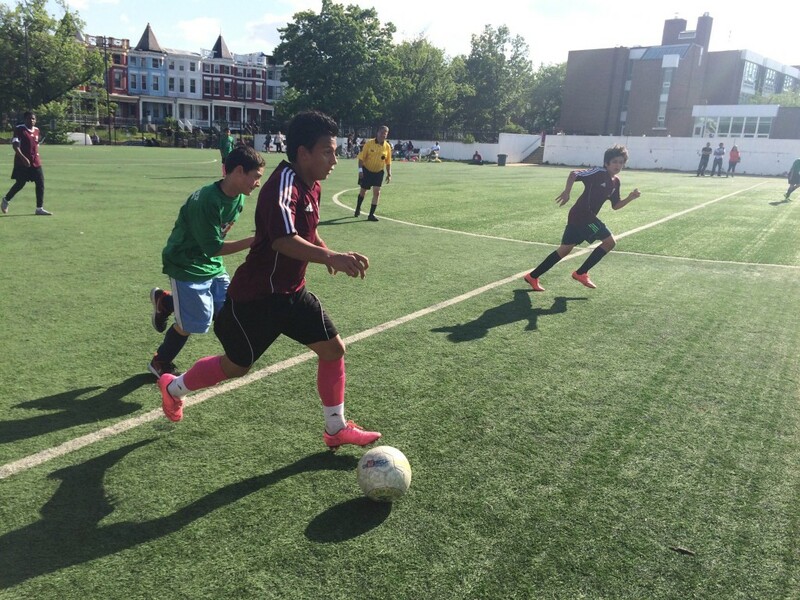 Volunteer: DC SCORES especially needs volunteers for its season-culminating Jamboree! on Saturday, June 3 for all 2,200 kids and their families. Many roles are available. Additionally, referees are needed for Thursday game days (no experience necessary). Check out all volunteer opportunities HERE. 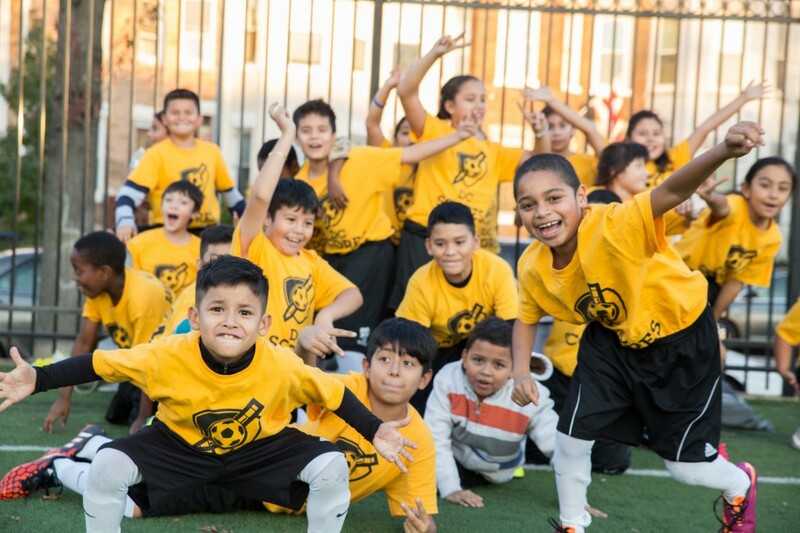 Website: Learn more about DC SCORES at www.DCSCORES.org or by connecting with the program on any social media platform (just search DC SCORES). Today we welcome Eric Goldstein, Founder & Executive Director of One World Education (OWEd) to GoodWorks. OWEd provides middle and high school common core literacy programs and publishes student essays about cultural and global issues, promoting peer-to-peer learning and building skills for college and career writing. 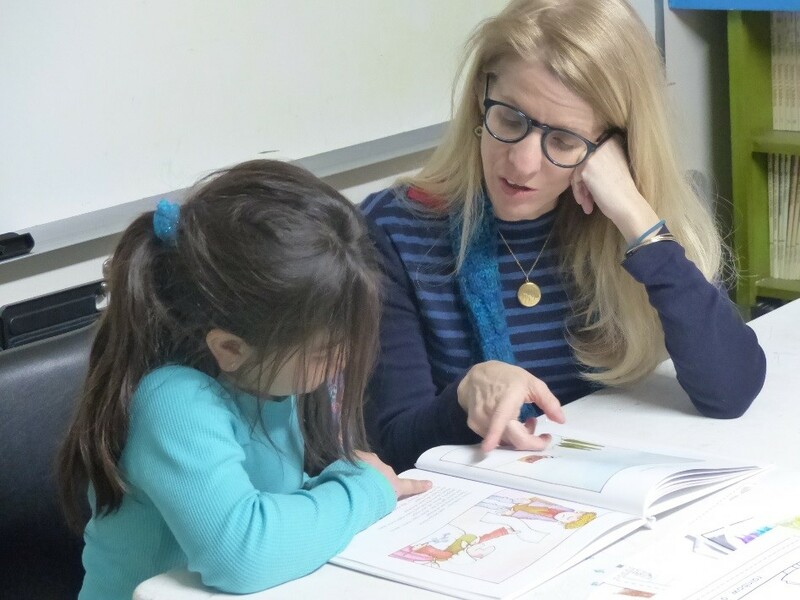 Founded in 2007, the teacher-created nonprofit has been recognized throughout the Capital Region as an outstanding literacy program that improves and celebrates student writing. Nationally, OWEd has been featured on Edutopia, ASCD’s Education Blog, Huffington Post, Comcast Newsmakers, and CBS News. In 2013, OWEd was selected as the first writing program to be adopted for all DC Public High Schools.Prior to One World Education, Eric was a middle and high school teacher in a DC Charter School. We’re delighted to welcome Eric & the OWEd team as a new 2013/14 Catalogue partner! Sometimes the most effective step an organization can take toward improving its programming is to improve the organization behind its programming. Seven years ago in an 8th grade Charter School classroom, where One World Education (OWEd) was created with my 8th grade students, thinking about anything other than involving more students in our successful writing project wasn’t even a speck on the radar. The success of that classroom project propelled OWEd’s expansion into a citywide organization. Now the organization provides in DC middle and high schools. 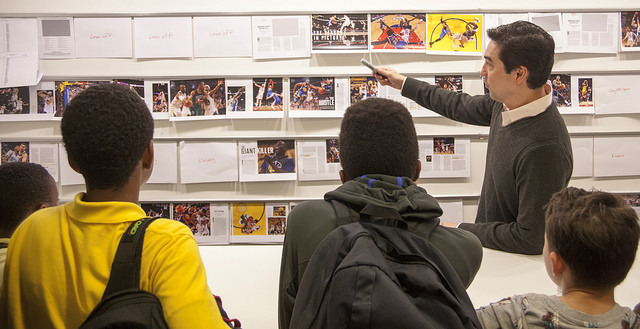 As students strengthen the skills needed for college and career-level writing, they learn to write and frame arguments about cultural and global issues that they care about. 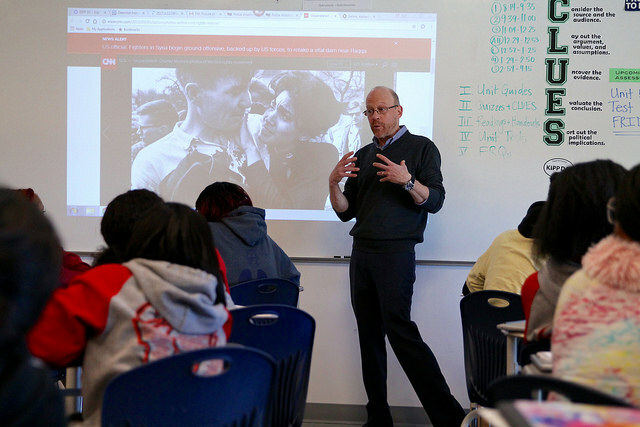 The organization then on its website with aligned curriculum, so students can read and learn about these topics from the perspective of their peers. Just as our programs ensure that teachers have strong plans for their students, OWEd followed suit and used the last school year to preparing its own strategic goals. The results have spearheaded program improvements, expansion, and more efficient partner collaboration. As a new member organization in the Catalogue of Philanthropy Community, I’ll use this blog post to share some of One World Education’s goals for long-term success and sustainability. First, schools had asked OWEd about offering more in-school, professional development (PD). We realized that a higher quality of writing was coming from students whose teachers had participated in our trainings. In response, OWEd developed a Teacher Trainer Academy where our educator team trains a teacher from each partner school. These teachers then lead OWEd’s PD in their own schools – creating leadership opportunities, fostering collaboration, and ensuring program expertise exists in each partner school. Second, OWEd needed to change its partnership model to be more effective. This year the organization transitioned from working with individual schools to working with school districts and Charter school networks. For the 2013-2014 school year, OWEd partnered with DC Public Schools (DCPS) to implement a citywide, high school writing program. Every 9th and 10th grade DCPS student and teacher has the opportunity to participate in the One World Writing Program this year. OWEd’s third goal was to deepen its commitment to evaluation. With the DCPS partnership in place, OWEd needed a strong evaluation partner to assess our work with 3,500 DCPS high school students and their teachers. This summer, OWEd contracted the Trachtenberg School of Public Policy and Public Administration at George Washington University to lead this citywide evaluation. The importance of having a strong, long-term plan is often overlooked in the face of short-term gains. As OWEd programs have demonstrated the ability to create successful teaching and learning experiences in classrooms, the organization was also successful in accomplishing its own goals over the past year. I want to thank those of you who have been a part of this accomplishment. Thank you for your commitment to education and philanthropy. To learn more about One World Education, please visit, www.oneworldeducation.org and keep up with Eric’s monthly blog here.